Changing old child protection seats for new at the 1st AK Child Passenger Safety Conference in Anchorage, celebrating Booster Seat Awareness Week, 2008. Photo by Gordon Glaser. Participants of the "Safe Transportation of Children with Special Healthcare Needs" course in Anchorage, March 2011. Back row: G. Glaser, N. Schrag, D. Wallace, L. Gray, A. Davis, J. Fellman, T. Shell, C. Taylor, J. Abbott. Front row: T. Franks (guest instructor), M. Mokracek, J. Wicker, L. Tyler, G. Teutsch, C. Lehl, M. Seethaler. Photo provided by Sara Penisten, Safe Kids Alaska. Safe Kids Alaska Coalition Coordinator Sara Penisten with Kodiak PD Officers Jeffrey Holden and Roland Zeitler, and Instructor Shawn O'Donnell in the background at a Jan 2011 child passenger safety training. Photo courtesy of Sara Penisten. DOT&PF Alaska Highway Safety Office - Second Chance. In 2015 40% (15 of 38) of motor vehicle occupant fatalities were not wearing a seatbelt. "Children Injured in Motor Vehicle Traffic Crashes” (DOT-HS-811-325) analyzes the incidence rates of incapacitating injuries as well as the commonly injured body regions among children under 8 years old involved in motor vehicle traffic crashes. The analysis indicates that in rollover crashes, the estimated incidence rate of incapacitating injuries among unrestrained children was almost three times that for restrained children. In near side impacts, unrestrained children were eight times more likely to sustain incapacitating injuries than children restrained in child safety seats. Alaska's Walk to School program at Scenic Park Elementary School in Anchorage. Photo by Jerrianne Lowther, Volunteer Coordinator Scenic Foothills Community Councils. 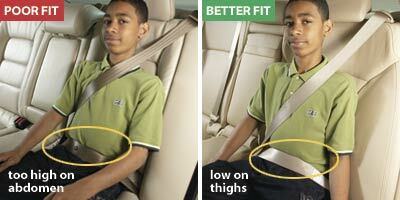 How do you tell if the bus you are looking at meets the seatbelt requirements? By an inspection; the Department of Education (DOE) has an inspection program that is not only thorough it is frequent too. CFR 49 571.222 Design Standard No. 222; “School bus passenger seating and crash protection” deals specifically with this issue of seating and crash protection for school bus occupants’. Buses must be registered with Federal Motor Carrier Safety Administration (FMCSA) and have a U.S. DOT number. It is enforced because the DOE would not allow the bus to operate if it could not pass their inspection criteria and if they operate a vehicle tagged or unmarked, Commercial Vehicle Enforcement Officers will stop it. How do you do this with a school bus? If CMVE observes a violation, the officer will stop the bus and deal with it and then notify DOE, if needed. CMVE do not treat all school bus operations the same as commercial bus operations because 390.3(f)(1) exempts certain school bus operations. School bus operation means the use of a school bus to transport only school children and/or school personnel from home to school and from school to home. In the Safe Communities Project, AIPC will take on some of the most dangerous aspects of highway safety, child passenger safety and seatbelt use. Reduce impaired and distracted driving through youth-created powerful multi-media messages. Promote safe pedestrian behaviors (especially concerning use of reflective material and clothing from 3-7pm). Increase bicycle awareness for drivers and offensive tactics for bicyclists. All of these activities will be conducted in conjunction with multiple community collaboration partners. In all AIPC projects, evidence-based best practices will be implemented and stringent evaluative components will be created and utilized. The Alaska Injury Prevention Center will create media and purchase ad time to promote child passenger safety and to prevent teen impaired driving for both television and radio statewide. The agency will also produce ads and purchase air time for radio spots covering a variety of highway safety issues, including headlight use, bike and pedestrian safety, teen driving including cell phone use and others as needed. AIPC will also evaluate the effectiveness of the media campaigns. This application complements Alaska Injury Prevention Center‟s statewide media campaign contract and Safe Communities Grant Application for fiscal year 2010. CPH will assist in supporting the Child Passenger Safety (CPS) program for the entire Kenai Peninsula. This program provides certified child passenger safety training to agencies and volunteers in order to educate parents, caregivers and youth about how to safely transport children in motor vehicles. As the coordinating agency, CPH will schedule community car seat check-up events, provide a permanent inspection site, maintain documentation and collect data, distribute child safety restraints and serve as the community resource for CPS. Continue to support and provide car seats to the new CPS program in the south peninsula. Enhance the CPS program for the Kenai Peninsula through educational media with newspaper, radio and other printed materials. 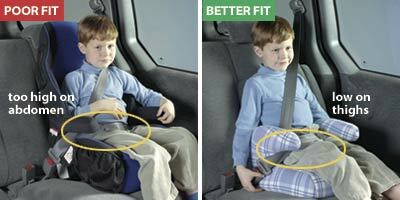 Increase the knowledge of the public about how to safely transport children in motor vehicles. Focus will be placed on the new booster seat legislation by letting the public know that children under the age of eight, 65 pounds or less or 4‟9” need to be in booster seats. The media will include contact and inspection site information. All media will state that it was paid for by AHSO and Central Peninsula Hospital, the lead agency for Safe Kids, Kenai Peninsula. This project provides an administrative and instructional system to insure that Child Passenger Safety (CPS) trainings and inspection programs statewide maintain appropriate standards. Statewide communication and support to CPS programs will be provided. The CPS Technician Instructor will maintain and support statewide communication of injury prevention activities, meetings and distribute current information. This program works with state, private, municipal, corporate and Alaska native organizations as well as AHSO to develop and maintain training, certification, recertification and inspection activities throughout Alaska. This program will support a CPS advisory board providing educational materials to encourage implementation of the recently enacted booster seat legislation. 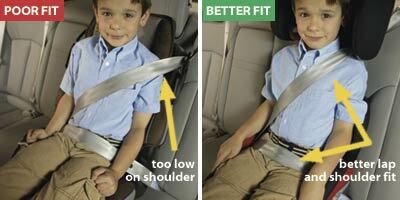 This project supports a statewide network of certified child passenger safety technicians. It ensures that they are trained, updated and supported so that caregivers/parents have access to current and correct information and resources to assist with installation of child restraints. A limited number of child safety seats and booster seats will be provided for training purposes and to provide seats to underserved communities without normal access to child seats. An administrative and instructional system for pedestrian and bicycle safety programs will also be provided. A limited number of bicycle safety helmets and reflector materials are made available for training purposes and for underserved communities. Snow machine and ATV instructive safety materials targeted at tweens and teens will be made available. The Fairbanks Safe Rider Program is a Child Passenger Safety (CPS) program that serves Interior Alaska. The program is supported by the Fairbanks Safe Kids Coalition and Fairbanks memorial Hospital. It partners with several community agencies and incorporates community volunteers. The focus is on providing CPS/seatbelt education to families and caregivers in the Fairbanks North Star Borough and surrounding highway accessible communities (Delta Junction, Healy and Valdez), This is accomplished through car seat check-up events, school program participation, health fairs and combined enforcement and education activities with law enforcement partners. Specific outreach will address low-income families both for availability of child restraints and on seatbelt and CPS education. The Juneau Police Department offers free car seat inspections during the week by appointment only. This is a free inspection where Certified Child Passenger Safety Technicians will assist you and assess for proper car seat use, safety, and installation. Replacement seats may be available at minimum expense for those who qualify. The Juneau Police Department is the Southeast Alaska Agency for child booster seats. For more information, please contact 907-586-0600, Officers Kathy Underwood, Jennifer Adams , or Blain Hatch. MSSCA will continue the Child Passenger Safety Program to offer community car seat checks as well as seat checks by appointment to educate caregivers in the Mat-Su community to improve the safety of children traveling in motor vehicles. An agreement with Mat-Su Regional Hospital was signed where hands-on training and car seat information are to be provided to parents at their birthing center. This expands the number of families that receive CPS information in the Mat-Su community. This service will continue in FY10. MSSCA will continue to provide training and mentoring for CPS technicians. For more information on how you can participate in child passenger safety in the Mat-Su borough, call 352-1229. Southeast Alaska Regional Health Consortium (SEARHC) will continue the Kids on the Move program. The goal is to enhance the existing regional car seat safety program established in FY09 by strengthening the partnerships in Juneau. There will be a half-time staff coordinating the program. CPS technicians within the region will be provided with child car seats for distribution within their communities. The program will follow Safe Kids protocol and target low income families. A tracking system will be maintained for funds collected and will be used to offset the cost of car seats within the region. 18 communities are included in this supported region. VIP will continue to expand existing programs including DUI Awareness, CPS Fitting Station, Infant Car Seat Giveaways and Community Patrols. In addition, volunteers will be recruited and trained and new equipment will be purchased. Community education classes and patrol hours will be increased. Expansion of the Speed Trailer services and Bicycle/Pedestrian Safety Program is planned. This will be accomplished through bike rodeos, helmet giveaways and reflective tape sew-on events. Please note: You must have Acrobat Reader to open any documents on this page. If you do not have Acrobat Reader, click to download the FREE software.